I did a dumb thing a little while ago. I lost my car key. I had another one at home but having only one is a bad idea because apparently one can lose them (ahem). 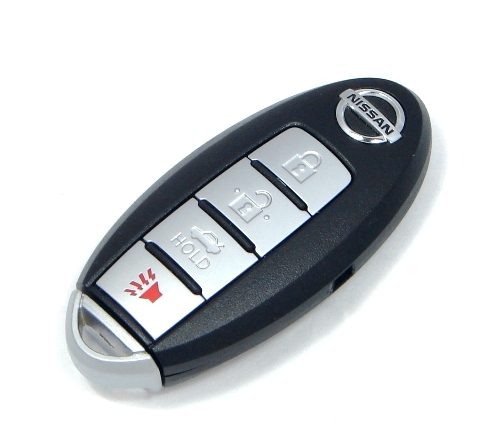 It’s one of those “smart” keys – as long as it’s in (or on, which is how I lost it) the car, the vehicle will start. Since I was due for a regular service anyway (which is where I’m writing this post) I asked the dealer to replace the lost key with another. Want to guess the price to do so? I don’t know about you, but I didn’t pay $275 for my top of the line mobile phone. “But your phone is subsidized”, you say. “The cell companies do that to get you to pay for the service.” Exactly the business point and it applies to your business as well. I don’t know what the key costs to manufacture – it’s a chip, a battery, and a case, basically. Let’s be generous and say $50. The woman at the service desk said “it takes an hour to program” as if there’s a coder in the back frantically assembling the software. My guess is they plop the fob into a holder attached to a computer and it’s done pretty quickly. But I understand the cost/value equation. Why do they charge that much? Because they can. It’s not as if you can go on Craigslist and find a cheap key. The issue isn’t can they, but should they? I bought the car for $31,000 a few years ago. I’ve spent a fair amount in regular service with them (the car has been worry-free otherwise!) although I could have gone anywhere to get an oil change and new filters. And now, when I do have an issue, they’re choosing to maximize their profits instead of saying “let’s forego the easy $100 because this guy is a loyal customer and he’s going to have to replace that car in a year or two.” Their short-term thinking is influencing my long-term thinking. I know we’re all in business to make a profit. My job is to help companies to do so. One model – the cell model – is to tie you to the company by making it easy to become a customer and to make sure you’ll buy highly profitable services through subsidies. I’m not sure that’s right for a car company – I don’t see them subsidizing your purchase so you’ll buy services. However, doing the little things that build loyalty do that as well, and there is nothing that feels better when you do something totally stupid than a brand that lifts you up, dusts you off, and helps you fix it in a way that makes you feel good. I realize the dealer didn’t lose the key. The question is are they going to lose the customer? Spot on. Don’t nickel-dime customers when you’re trying to build loyalty to get them to spend many thousands more. I remember having the battery replaced in my key fob (before the era of smart keys, which IMO are pretty much a completely useless “innovation”) and being told it was $35 at the dealership. I went to Radio Shack and bought the battery for $4. I did that too when I started getting a warning from the car that the key battery was low. The cars are a lot smarter than those who sell and maintain them! True. I just don’t get the sense of trying to rip somebody off for $20 or $250 when you’re trying to get their loyalty on a $30K purchase. Dumb.